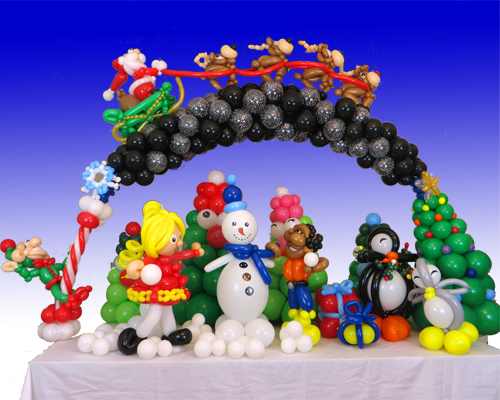 Perfect for family parties or corporate events, these make a colourful Christmas scene and photo frame rolled into one. 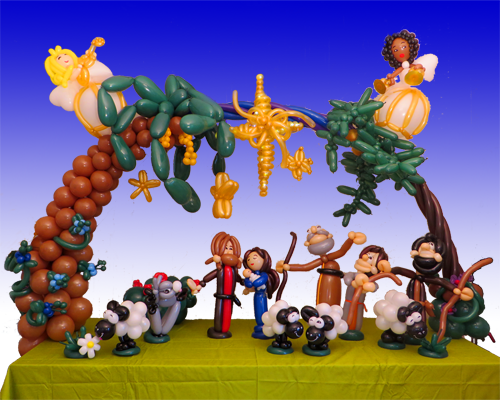 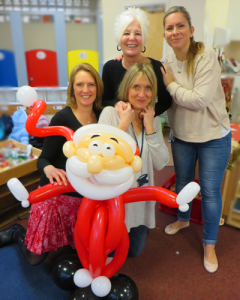 Add extra balloon models to create a tableau or for the children to enjoy. 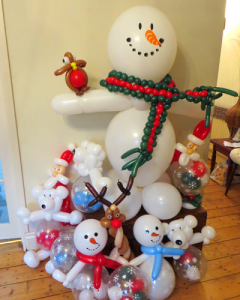 Prices start from £135. 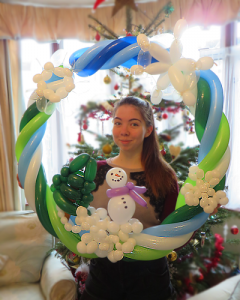 Pictured below are table arches Lisa created for Channel 4’s Kirstie’s Handmade Christmas. 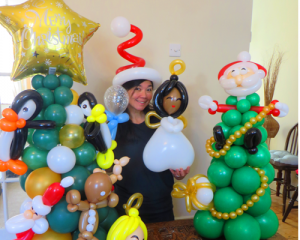 Make your own balloony Christmas tree! 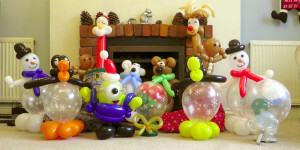 £20 per person for 14 to 18 people. 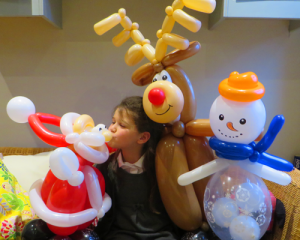 Bring some Christmas cheer with an unforgettable balloon gift or delivery. 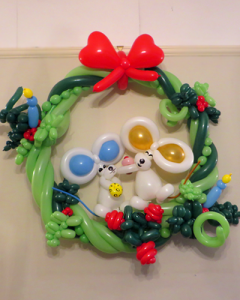 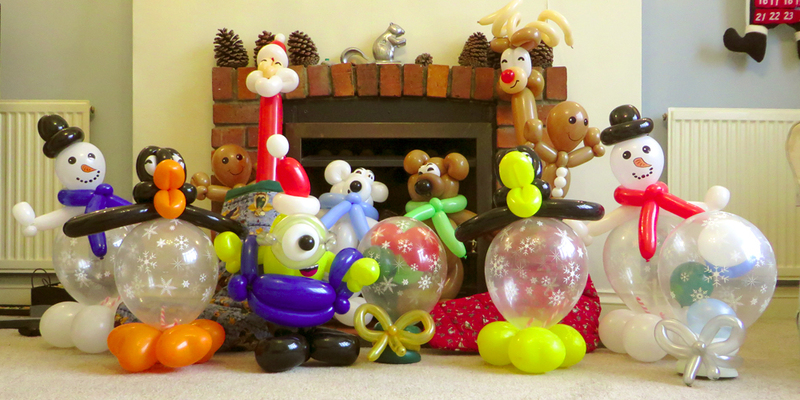 Balloon creations usually last between 7 to 9 days.